Kari K. Jacobson spoke at the 2016 CLM SE Conference, Retail, Restaurant & Hospitality on Feb 5, 2016 on Aquatic Accident Investigations: “What Can Be Done So You Are Not Up The Lazy River Without a Paddle” with a focus on resort pools and water park accidents. La Cava and Jacobson. P.A. is pleased to announce that the firm will be opening an office in Naples, Florida. The office will be located at 2590 Northbrooke Plaza Drive, Suite 307, Naples FL 34119. Kari Jacobson will be the resident partner at the Naples office. The office will open on November 1, 2015. It will be a full service office handling the defense of medical malpractice cases filed against physicians, dentists, nurses, mental health professionals and hospitals as well as the defense of general liability cases. Louis La Cava has been elevated to the rank of Diplomate by the American Board of Trial Advocates. The invitation only organization has ranks of Associate, Advocate and Diplomate. In order to reach the rank of Diplomate the member shall have at least twelve (12) years of active experience as a trial lawyer and as a member of the Bar of the state, province, district or territory in which he or she practices, shall have held the rank of Advocate for a minimum of three (3) years and shall have tried a minimum of one hundred (100) civil jury trials to a jury verdict or hung jury as lead counsel or, in the alternative, shall have tried fifty (50) civil jury trials to a jury verdict or hung jury as lead counsel and shall have acquired 1,000 points as defined by ABOTA Bylaw IV, Section 1. 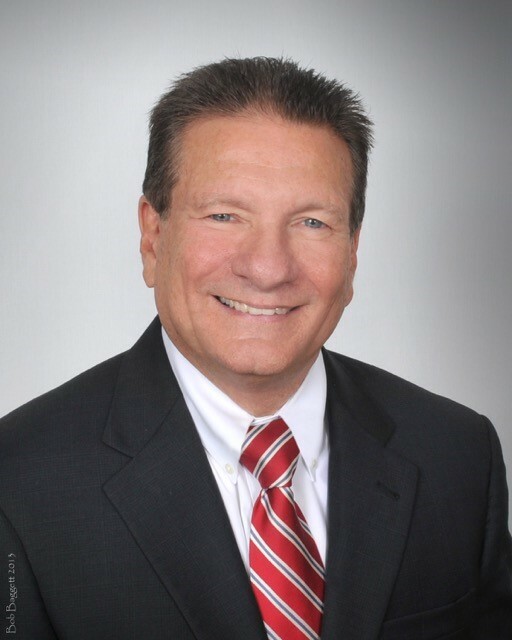 Lou La Cava has been a respected attorney in Florida for 30 years. There are many worthwhile charities which he and his wife April support, and the FMC Foundation of Caring is one to which he proudly donates his time, talent and treasure. The Foundation has invested over $1.7 million in Pasco and Hillsborough charities that assist the ill, poor, homeless, and otherwise marginalized, and volunteers and donors like La Cava are a big reason why. Lou La Cava has been a Foundation Board member for two years and has taken a lead in the community grant award process. His firm is also a key event sponsor. La Cava grew up in New York in what he called a blue-collar family. He unfortunately lost his father when he was only six, so his mother was forced to raise he and his brother on her own. She did a very good job as both of her sons became the first family members to graduate from college. Six years after college, La Cava took the LSAT before graduating from law school in 1985 and has been practicing law ever since, specializing in defending physicians and others that get sued in civil cases. However, that is only a small part of what La Cava does. La Cava’s role on the FMC Foundation of Caring Board of Directors is to Chair the Community Grants Program committee. In this capacity he reviews grant applications, facilitates on-site visits to applicant agencies and leads the competitive grant award process. With members and supporters like La Cava, it’s safe to say that the FMC Foundation of Caring is in good hands, and able to continue to pursue its mission of leveraging resources that enrich lives by supporting measurable, immediate and lasting positive change in the Tampa Bay area. Louis J. La Cava was a guest speaker at a seminar for physicians in Orlando, Florida. Mr. La Cava’s presentation was explaining the legal process in order for the physician to understand the process of a medical malpractice law suit from pre suit through trial. David S. Nelson has joined the medical malpractice group as a Partner. Throughout the course of his legal career, Mr. Nelson’s practice has been devoted almost exclusively to the representation of healthcare providers, including hospitals, physicians, dentists, nurses, nursing homes and assisted living facilities in negligence actions. Louis J. La Cava has been included in the 2014 edition of U.S. News – Best Lawyers®. La Cava was recognized in the field of Medical Malpractice Law – Defendants. The firm, La Cava & Jacobson, P. A received First Tier ranking in Tampa in Medical Malpractice Law – Defendants by U.S. News – Best Lawyers® in 2014. 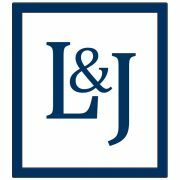 La Cava & Jacobson, P.A announces that Louis J. La Cava has been selected eight (8) consecutive years, 2006 – 2014 to Florida Super Lawyers list. Each year, no more than five percent of the lawyers in the state are selected by the research team at Super Lawyers to receive this honor. Tia Jones has joined La Cava & Jacobson, P.A. Tia Jones has joined the civil trial defense law firm La Cava & Jacobson, P.A. as an Associate in their general liability practice group. https://www.lacavajacobson.com/wp-content/uploads/2016/11/lacava-jacobson-pa.jpg 600 600 wplacava https://www.lacavajacobson.com/wp-content/uploads/2016/12/lacava-jacobson-pa.png wplacava2013-10-02 14:15:142016-09-23 14:16:39Tia Jones has joined La Cava & Jacobson, P.A.